For a bathroom tapware that offers high performance and great looks at an affordable price, go for the Cube Curved Mixer. 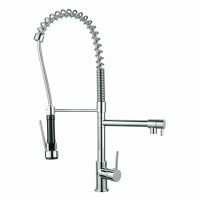 This mixer tap features a modern, ergonomic design and is both attractive and very easy to use. 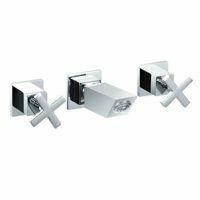 This mixer tap is designed for easy installation in standard Australian bathrooms. The Cube Curved Mixer comes in a gorgeous chrome finish. 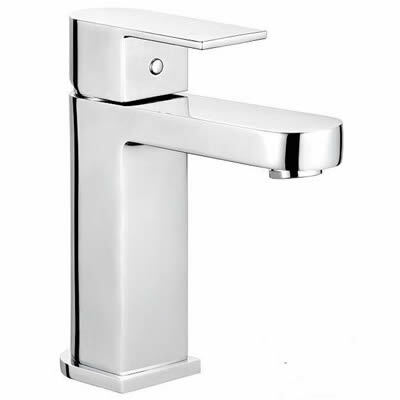 The tap body, as also the internals, are manufactured with solid brass construction. This makes the Cube Curved Mixer very reliable and highly durable. The lever handle is sturdy and is very easy to grip. It is also equipped with ceramic disc mixer cartridges, which offer accurate control over the flow and temperature of water. Moreover, the tap body, internals and finish are all covered by manufacturer guarantees. The Cube Curved Mixer meets all Australian standards of quality. It is rated as WELS 5-stars and has a water flow rate of 5 litres per minute. 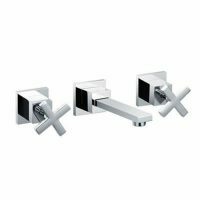 If you’re undergoing a bathroom renovation or installing a new bathroom, this quality bathroom tapware is not to be overlooked. For a high-performing, elegant and affordable mixer, you won’t beat the Cube Curved Mixer. Grab yours today from Ross’s Discount Home Centre!